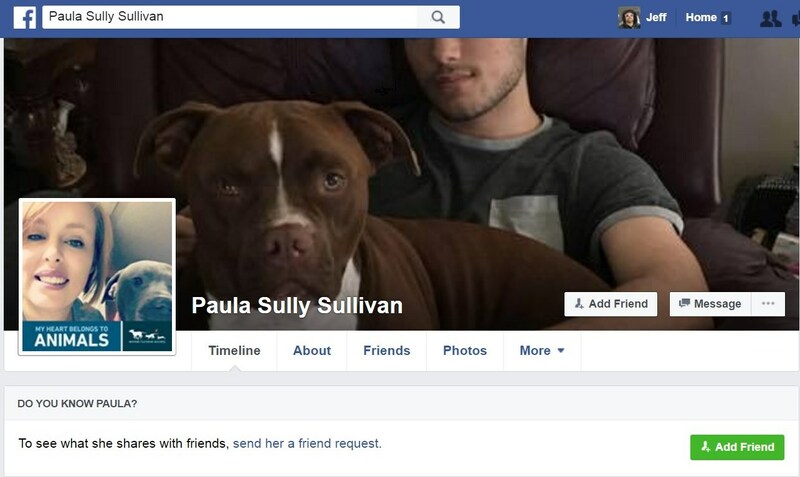 Paula Sully (Redd) Sullivan from Pikeville, North Carolina, Volunteering at Crossposting and Advocating for Animals, all at Pit Bull Activist, Co-Owner at Crazy for Pitties, Advocate at Animal rights activist, stalks, harasses and lies about victims of pit bull attacks and their supporters. “The babysitter and parents of the child were friends and the baby had been in the babysitter’s house before – this was a routine day. The dogs were the babysitter’s own dogs and all indications show that she was a good dog owner. The house was clean, the dogs were healthy, and there was no indication that the dogs were mistreated in any manner. “Iwicki stated that the dogs are kenneled at night and were kenneled most of the day TODAY. (We had 6” of snow the night before) She has had them out of their kennels when Daxton has been there in the past with no problems. 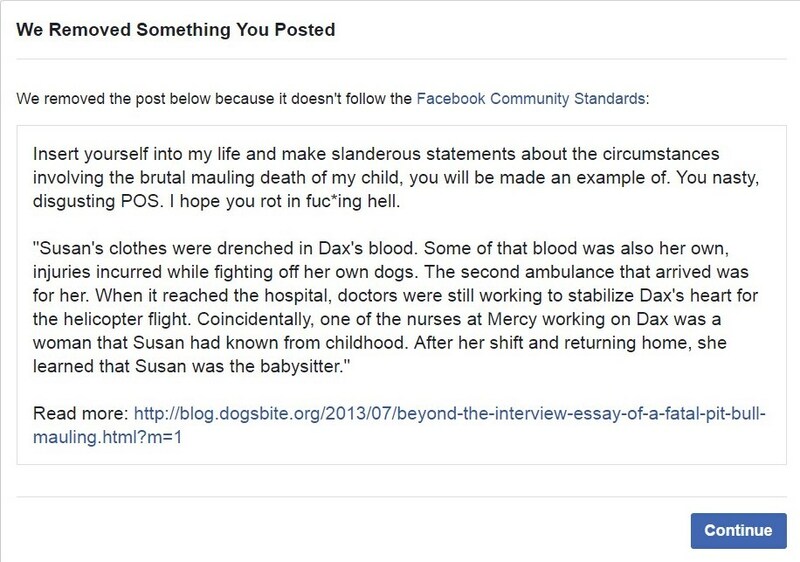 She stated she was holding Daxton in her arms when she led both dogs out to the back yard fenced in area to pee. She stated both dogs went of and peed. She said when both dogs came back to her, one of the dogs began to pull on her pant leg of her jeans. She said that she began to slap the dog in the muzzle, telling it to stop. She said she was unsure if it was Bosston or Penny. 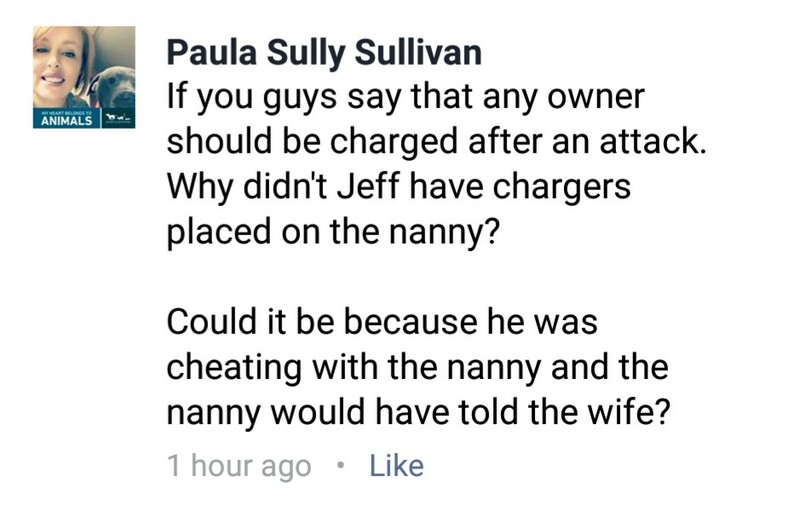 She stated then both dogs began to bite her on her coat, tearing the pocket, causing her cell phone to fall to the ground. She said at that point, Daxton began to cry. She said the dogs then started jumping up on her, biting Daxton as she held and attempted to shield him from the dogs. “Report of Humane Ofcer Deputy Richard Lagle: Deputy Lagle states that he monitored the situation via portable radio in his office at the Sherif’s Department. He reports that the dogs were described as two 65 lb pit-bull type dogs. 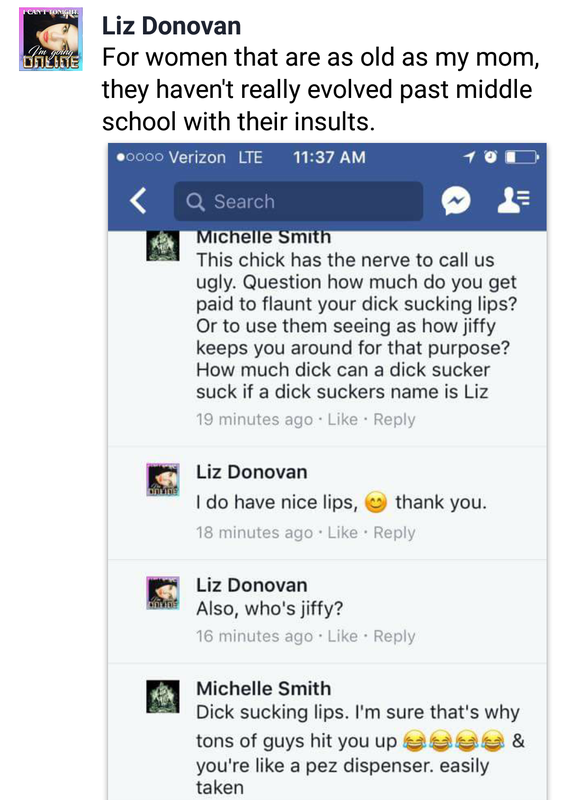 He stated that he contacted Cindy Wroebel, who is the Humane Officer at the Lakeland Animal Shelter, and advised her of the situation. Due to the nature of the attack, Deputy Lagle and Ms. Wroebel came to the decision that the dogs must be euthanized. Ms. Wroebel responded to the scene to remove the dogs. The dogs were transported to Elkhorn Vet Clinic, and euthanized by Dr. Jefrey Korosec. He is the one who prepared the dogs for rabies testing, by removing their heads. 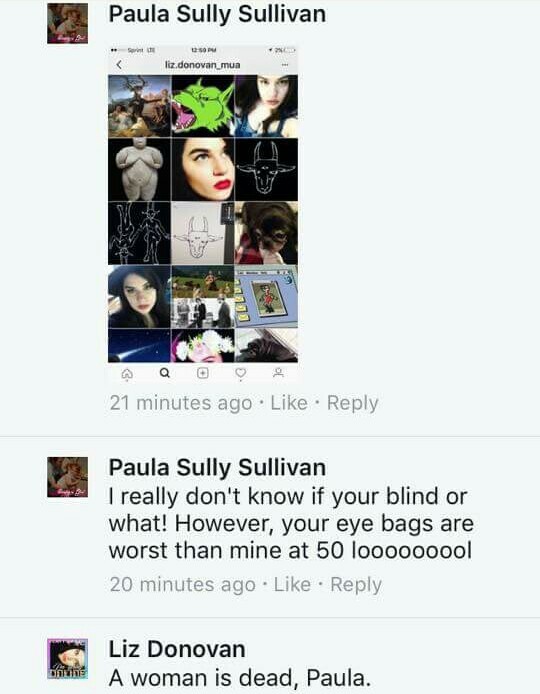 Stop by Paula’s Facebook profile and let her know how you feel about this comment.